Giving birth is not a picnic, but it has its rewards. 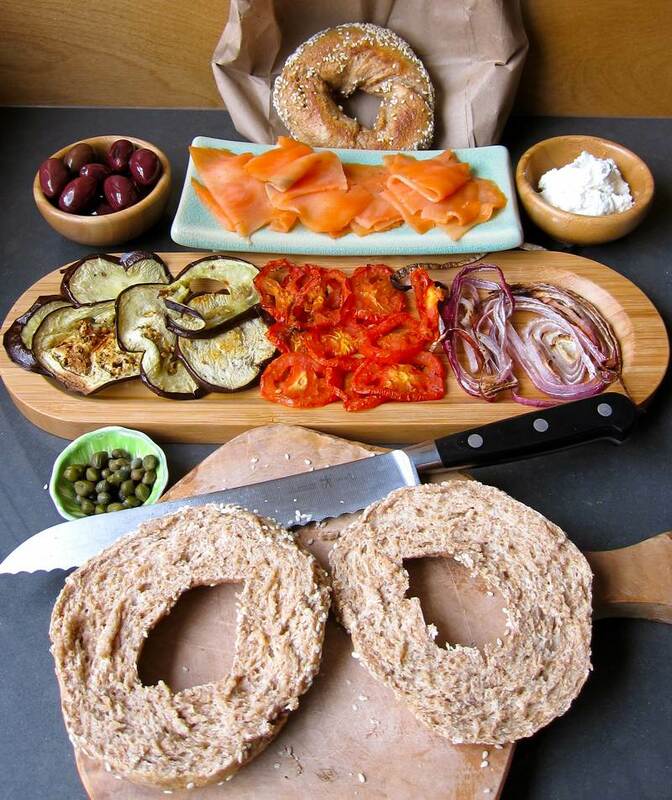 I didn’t have cravings while pregnant, but just after bringing my daughter into the world, I wanted to celebrate with bagel, lox and cream cheese, from Beauties of course. It’s hard to improve on perfection, but tempting to come up with a new variation on the theme. Speaking of giving birth, check out my brother-in-law Joel Simms’ new website, MomentumUniversity. Read all about the how it can change your life in hot jittery resources. 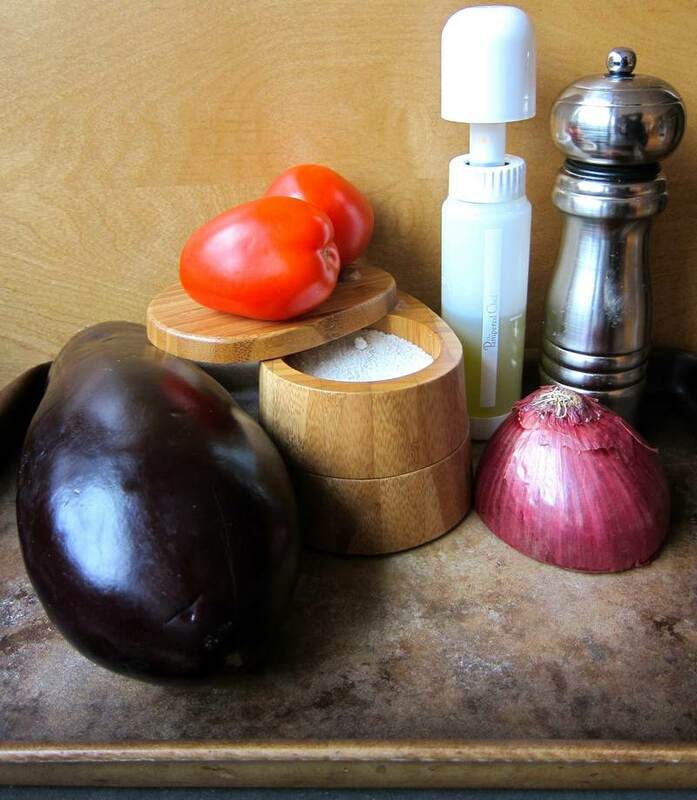 Spray vegetables with olive oil, then sprinkle with a little salt and pepper. 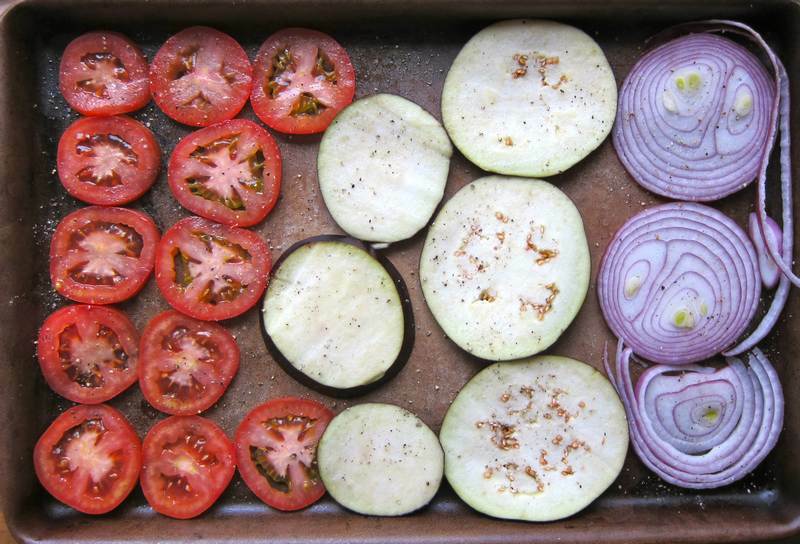 Roast vegetables at 420 degrees for 20-25 minutes, turning them carefully after the first 15 minutes. 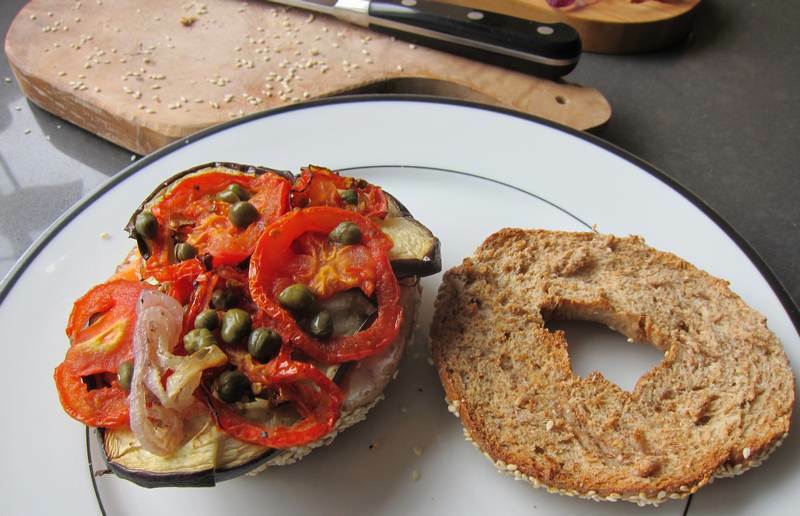 Toast bagel then layer on cheese, lox, onion, eggplant, tomato and capers. Slice while holding to keep filling in place. 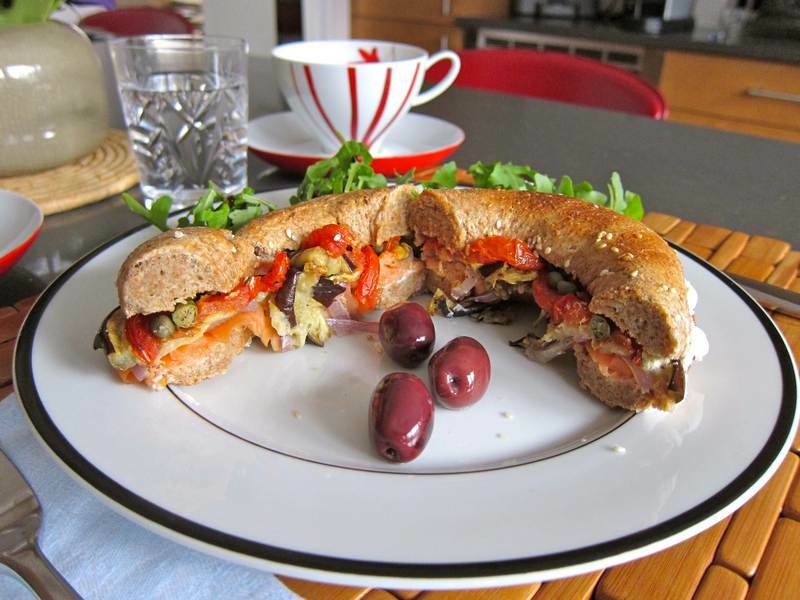 Check out the Honorable Menschen in the upper left corner of the MomentumUniversity site while noshing your Bagel, Lox, Goat Cheese and Roasted Vegetables. The bad news is: Jittery Cook was not selected as a winner of the Canadian Lentil contest. The good news is: Not 1, not 2, but 3 Jittery Cook recipes are included in the Canadian Lentil Recipe Revelations Book. Click on the link to get your very own lentil recipe e-book, for free. 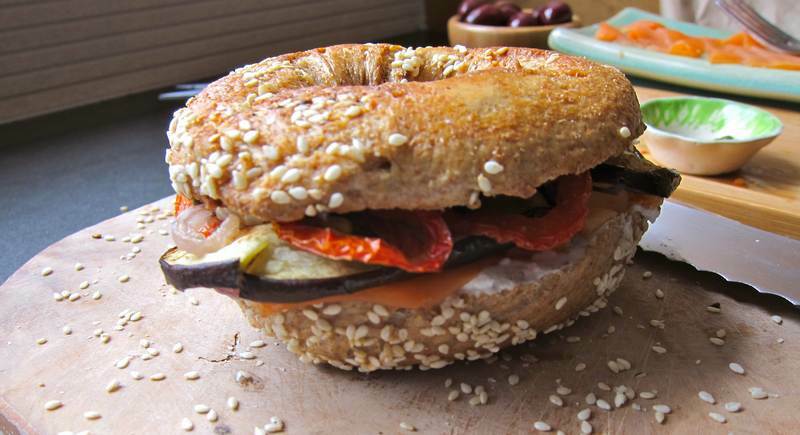 This goat cheese/lox/bagel recipe looks divine, especially at 7 AM. Congratulations on getting 3 lentil recipes published. I can’t imagine anyone winning over you! From an avid supporter. Thanks Nadi! Have you checked out MomentumUniversity? This recipe looks sooo delicious my mouth is watering! Almost time for lunch. Congratulations on having your recipes published! Thanks Sonia! It was delicious and I do love getting published. it’s all good fun! Love mtl bagels! It’s been awhile! Great twist – cant wait for your next post….no pressure! Hey, I live for the pressure. Keeps me on my toes. It’s way less pressure doing 2 a week than it was doing 3. Thanks for liking! Thanks! It tastes even better than it looks. Thanks for taste testing and for being my bagel supplier!